During our Year 7-10 assemblies this week, college staff and students respectfully acknowledged Remembrance Day with a minute’s silence, The Last Post and our National Anthem. We were honoured to have local Vietnam War Veteran, Mick Ryan from the Safety Bay Ex-Services & Community Club to proudly read The Ode. Students were extremely attentive during these short services, with several personally approaching Mr Ryan following the Assembly to thank him for his service. It was wonderful to witness the high level of respect demonstrated throughout the Assembly by all students. 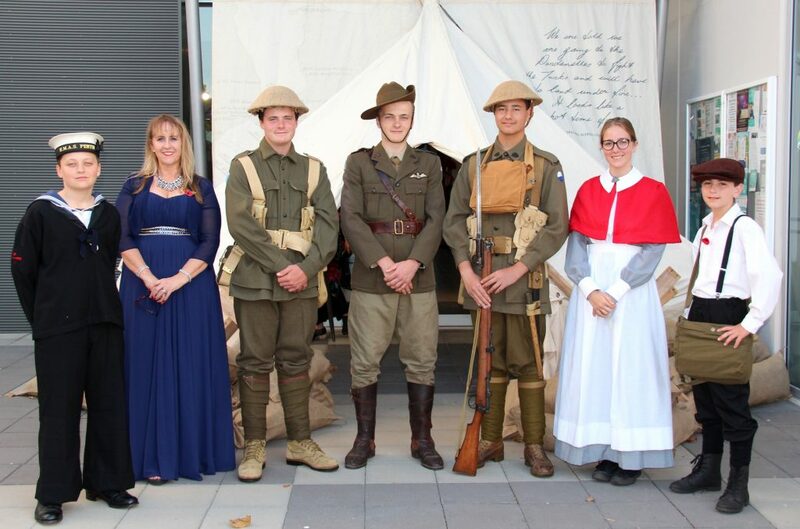 Volunteer students assisted the organisers of the Centenary of Armistice Ball, held at the Gary Holland Community Centre on the weekend. They provided usher duties whilst dressed in WW1 Uniforms and did a fantastic job at representing the college whilst greeting dignitaries and community guests. Thank you Savannah Sleeton, Shannan Marshall, Shaydon May, Declan, Kane and Kyle Richardson for your generous support of this important community event. 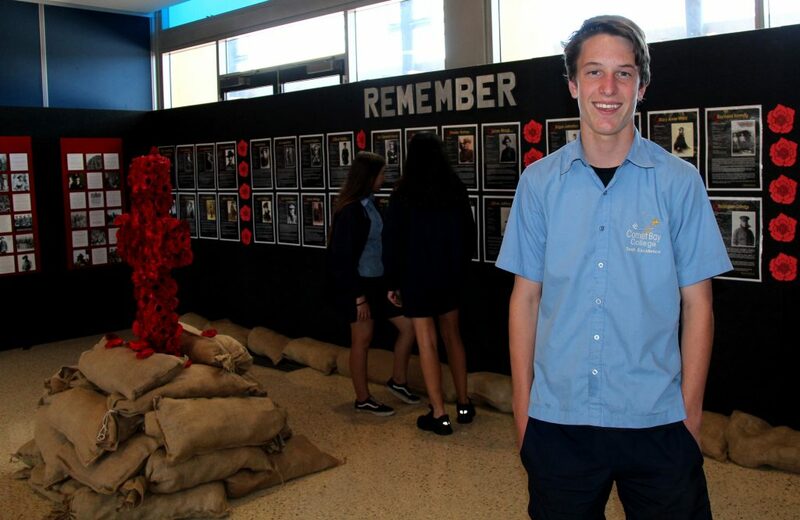 The decoration of the GHCC foyer was coordinated by Comet Bay College’s Defence Transition Mentor Claire Hunt, utilising poster boards and a replica bell tent that was kindly donated to the college by the Spirit of the Anzac Exhibition. 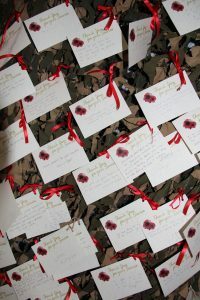 Hundreds of paper poppies themed the area, and guests were very impressed with the framed posters from the research Project, and hand written gratitude cards hanging from the camouflage net entrance. 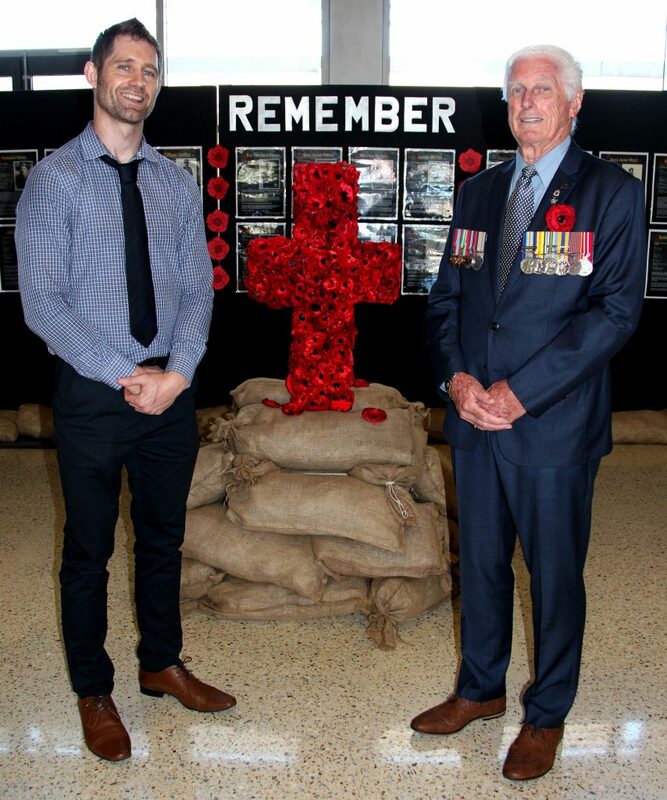 Year 10 students Thomas Meerton and Bailey Padgett assisted with installation, along with event coordinators and veterans Mick Ryan, Allan Hill and Lyndon Jackson. 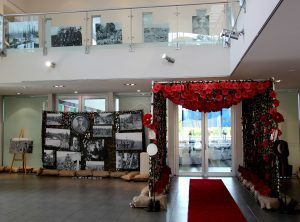 Our front foyer became a sea of poppies in honour of Remembrance Day. 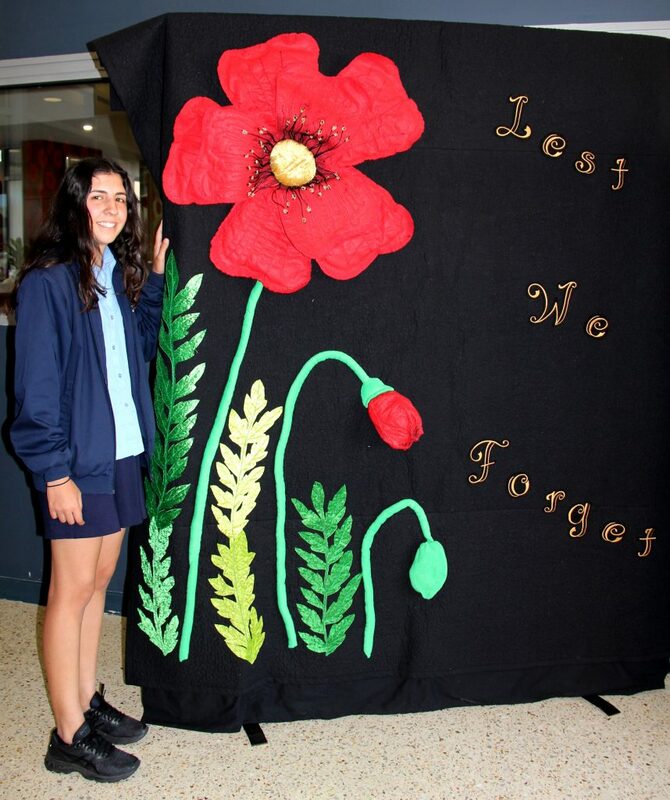 Each year, CBC students make a paper poppy and write a personal message of remembrance on the back. These covered the entry doors and edged the display boards in the foyer. 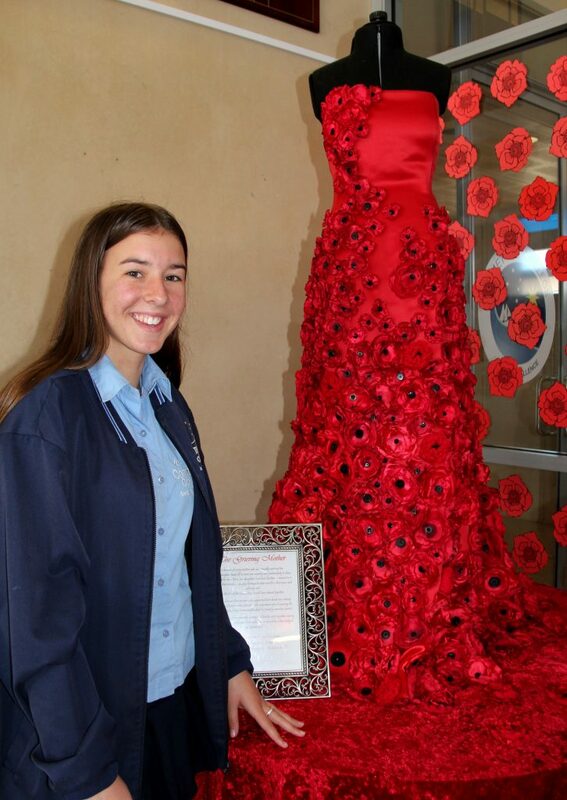 Our poppy dress, adorned with over 700 handmade fabric poppies, made in honour of women on the home front, plus our giant ‘Lest we Forget’ quilt also made an impressive addition to the entrance. 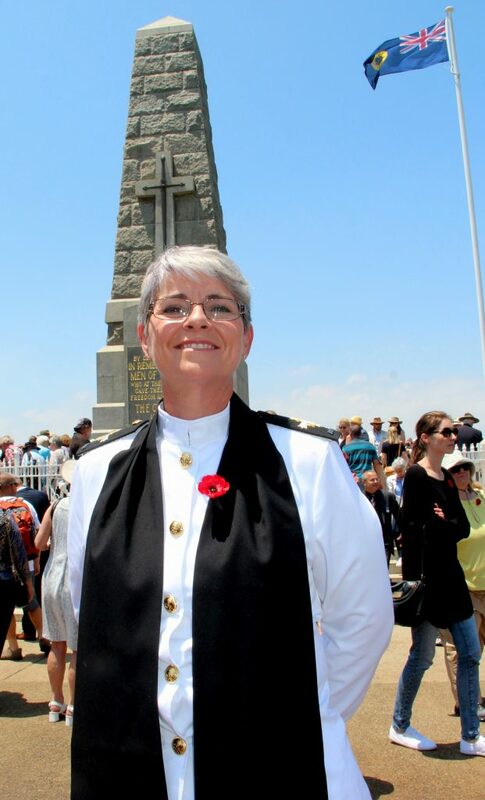 One of our college parents, Chaplain Lynette Emery delivered the Prayer of Remembrance at the ceremony held at the Kings Park State War Memorial in Perth. On behalf of the Royal Australian Navy, Ms Emery spoke so beautifully to an enormous crowd of 15,000 people at this special ceremony. 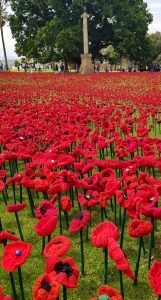 What a spectacular display was on show with 62,000 hand knitted poppies ‘planted’ at Kings Park around the ‘Flame of Remembrance’ and nearby grassed areas. Each poppy represented an Australian killed during World War One. The ‘Poppy Ladies’ and RSLWA did an amazing job at coordinating such a memorable community project in honour of the Centenary of Armistice. 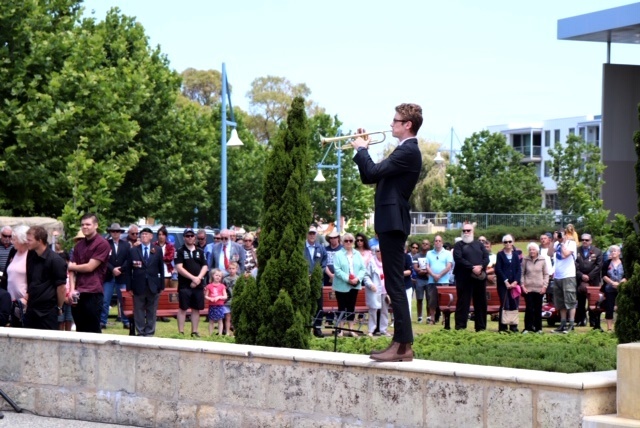 Year 11 students Ethan Lamont performed The Last Post and Rouse at the Rockingham Remembrance Day Service to a crowd of over 650 people. Such an important role during the commemorative service carries with it the weight of tradition and honour, and Ethan did us proud once again.